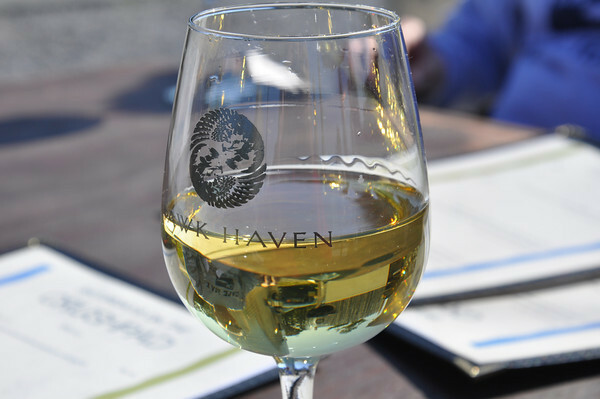 Visit Hawk Haven on February 16th & 17th for wine tastings, crepes, live music, and more. Barrel Tasting with the Wine Maker! Meet the wine maker as he presents his new vintages straight from the French oak barrels where they age. Compare consecutive vintages and learn about viticulture and wine making while getting a preview of the upcoming releases. Future sales will be available. Wine tasting of our current releases will be available for $7, including the souvenir glass. This weekend only, try our Signature Series Gewurztraminer! Our tented/heated Crushpad will be open with seating for enjoying wine by the glass and bottle. Crespella Gourmet Creperie will be here serving an assortment of made-to-order crepes! Satisfy your sweet tooth with a fruit or chocolate based crepe, or try one of the savory options. Also serving Cheese Plates and Cheese & Chocolate Plates. This entry was posted in HAwk haven, Valentines Weekend Barrel Tasting Futures Sale February 16th and 17th on February 15, 2013 by Ryan Reclaim.